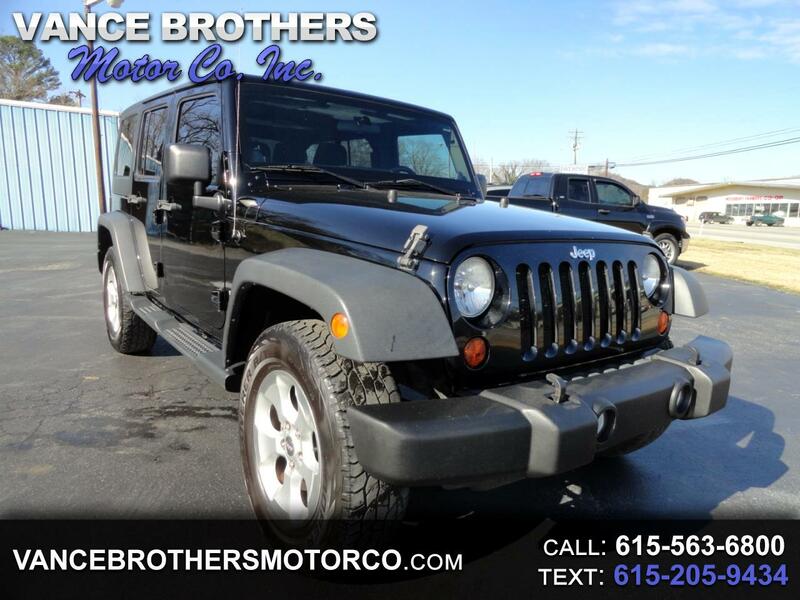 Used 2013 Jeep Wrangler Unlimited 4WD 4dr Sport for Sale in Woodbury TN 37190 Vance Brothers Motor Co. Inc.
2013 JEEP WRANGLER UNLIMITED SPORT 4X4. Nice one owner local Wrangler with options that include 3.6 liter engine, automatic transmission, 4x4, removable hard top, tachometer, center console, duel air bags, CD, running boards, towing package, and aluminum wheels. This is a super clean Wrangler. Call Today! Warranty available. VANCE BROTHERS MOTOR CO INC FAMILY OWNED AND OPERATED.